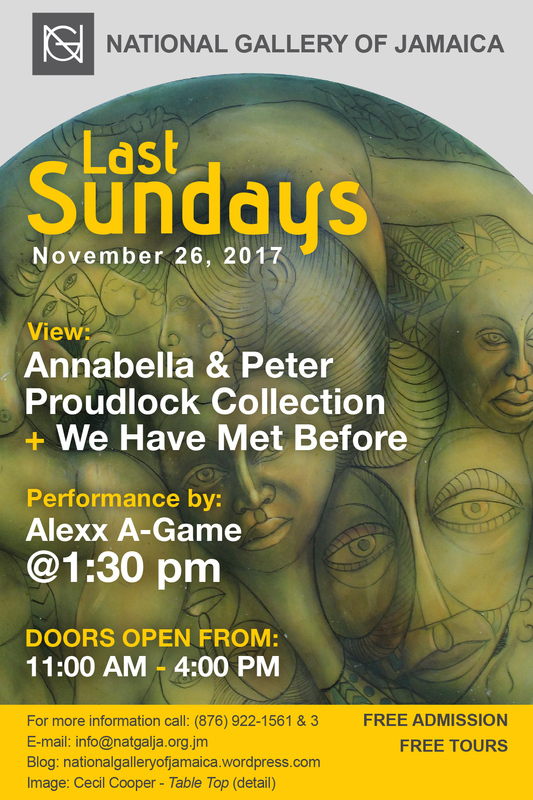 The National Gallery of Jamaica’s Last Sundays programme for the month of November will feature a musical performance by Alex Gallimore, more popularly known as Alexx A-Game. November 26 will also be the last opportunity to see the Annabella and Peter Proudlock Collection and the We Have Met Before exhibitions, which had both been extended. Alexx A-Game’s career as a musician began as the lead singer of Di Blueprint Band, which became popular in 2012 after winning the Global Battle of the Bands competition in London. They went on to appear at major music festivals in Jamaica and toured the United States, the Caribbean, Suriname and Europe. Alexx began his solo career a few years afterwards and released his first official single, the motivational anthem A-Game Everyday. His mixed tape of the same name soon followed, and more recently he released the 10-track Real ‘N’ True Vol. 1. 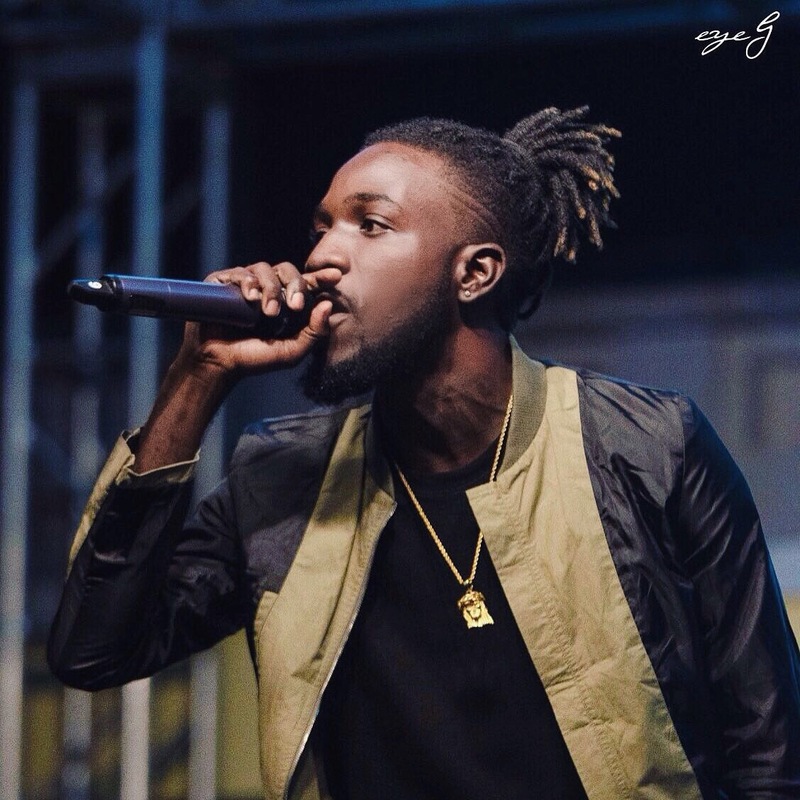 With his lyrical prowess, catchy hooks and witty freestyles, Alexx A-Game is making a significant mark on Jamaican music while opening up a door to international urban music. His music is inspired by Jamaican legends such as Damian Marley and Shabba Ranks as well as US and UK Hip-Hop culture. The Annabella and Peter Proudlock Collection chronicles the contributions made to the Jamaican artistic community by the principals of the north coast based Harmony Hall Gallery, while displaying their personal art collection gathered over nearly fifty years. 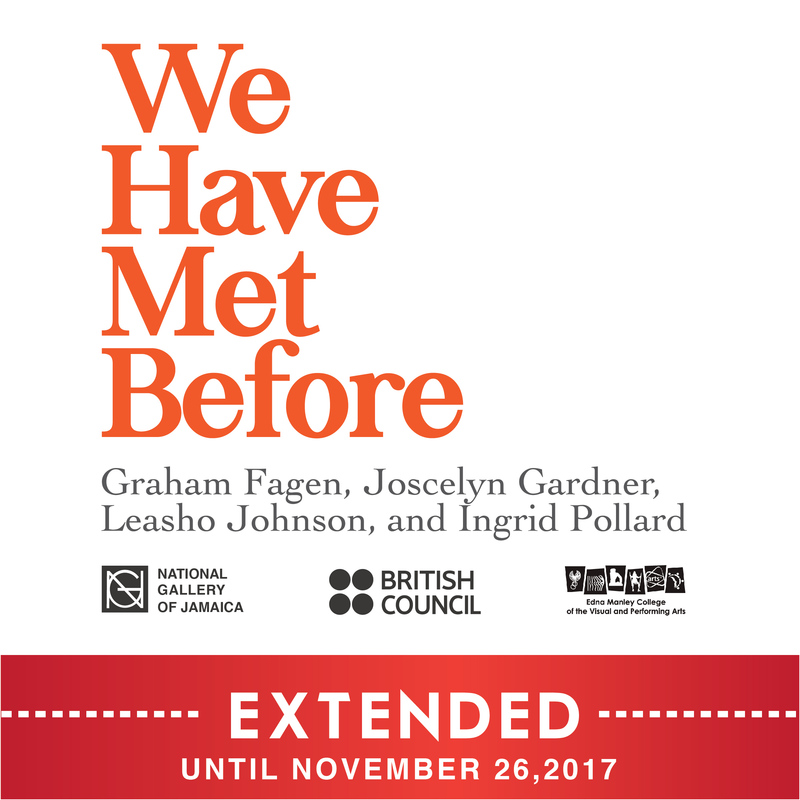 We Have Met Before, which is presented in collaboration with the British Council, features the work of Graham Fagen (Scotland), Joscelyn Gardner (Barbados/Canada), Ingrid Pollard (Guyana/ UK) and Leasho Johnson (Jamaica). The work of each of these artists creates contemporary platforms for engaging with the difficult conversations that still surround the histories and legacies of the transatlantic slave trade. As is now customary for our Sunday programmes, the doors will be open to the public from 11 am to 4 pm and Alexx A-Game’s performance starts at 1:30 pm. Admission and guided tours will be free. The gift and coffee shop will also be open for business and the gift shop features Jamaican craft and other gift items that make wonderful Christmas gifts. We Have Met Before and Proudlock exhibitions extended! 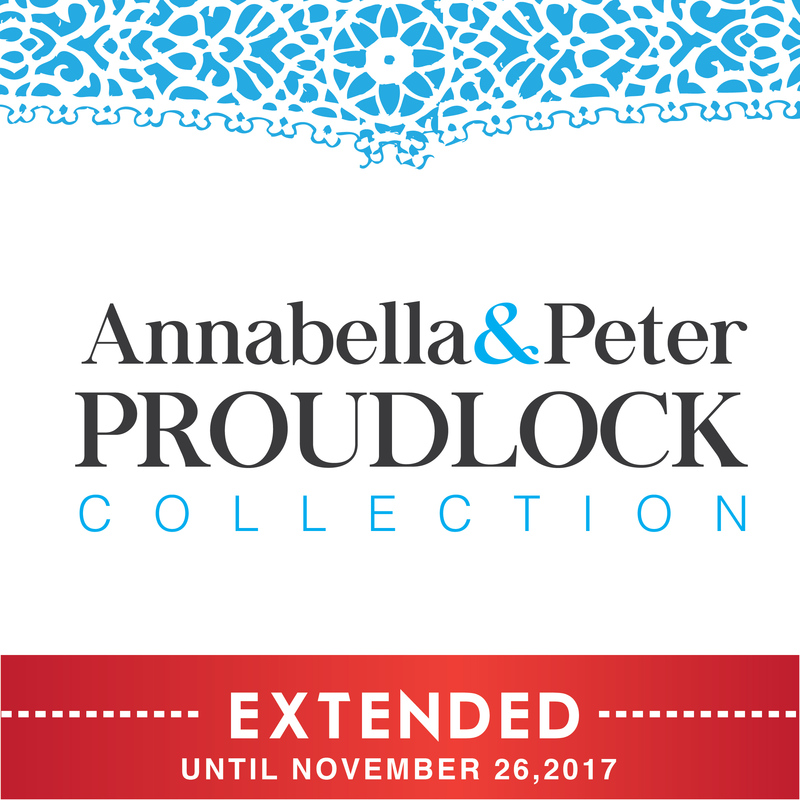 The National Gallery of Jamaica is pleased to announce that due to popular demand we are extending the Annabella and Peter Proudlock Collection and We Have Met Before exhibitions to November 26, 2017. There will exceptionally be no Last Sundays programme for the month of October 2017, but the National Gallery of Jamaica will present a special “First Sundays” programme on November 5 instead. 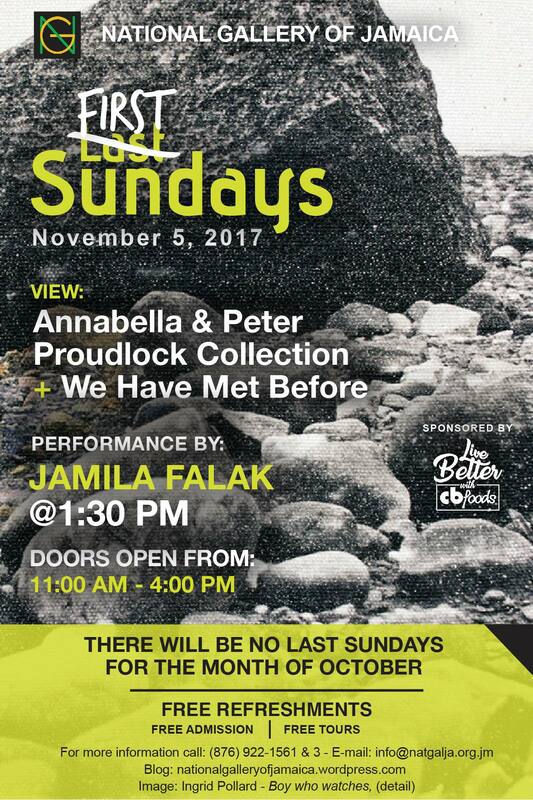 The programme on November 5 will feature a musical performance by Jamila Falak and visitors will also have a final chance to view the Annabella and Peter Proudlock Collection and We Have Met Before exhibitions, which are both being extended by one day for this special event. The November 5 programme is part sponsored by CB Foods. 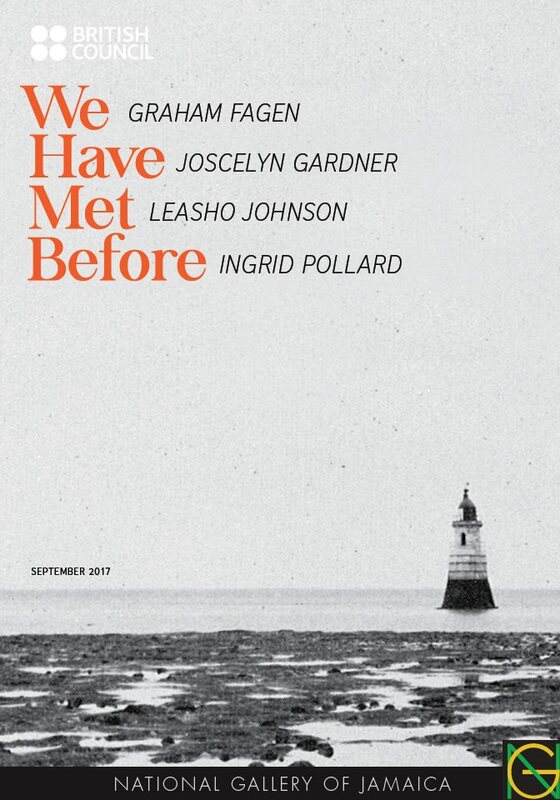 We Have Met Before is presented in partnership with the British Council and features works by artists Graham Fagen (Scotland), Joscelyn Gardner (Barbados/ Canada), Leasho Johnson (Jamaica) and Ingrid Pollard (Guyana/ UK). The exhibition offers four distinct and contemporary perspectives on Plantation Slavery and its afterlives and the works invite the public to engage in the still pertinent and difficult conversations surrounding the subject. The Annabella and Peter Proudlock Collection features selections from the personal collection of Annabella and Peter Proudlock, who operated the celebrated Harmony Hall Gallery. Their collection spanned some fifty years, from the 1960s to the early 2010s, mainly featuring Jamaican artists, but also art and craft collected in their wide ranging travels around the Caribbean and Central America. The exhibition documents the history of the Harmony Hall Gallery which held a unique position in the development and promotion of the arts in post –independence Jamaica. 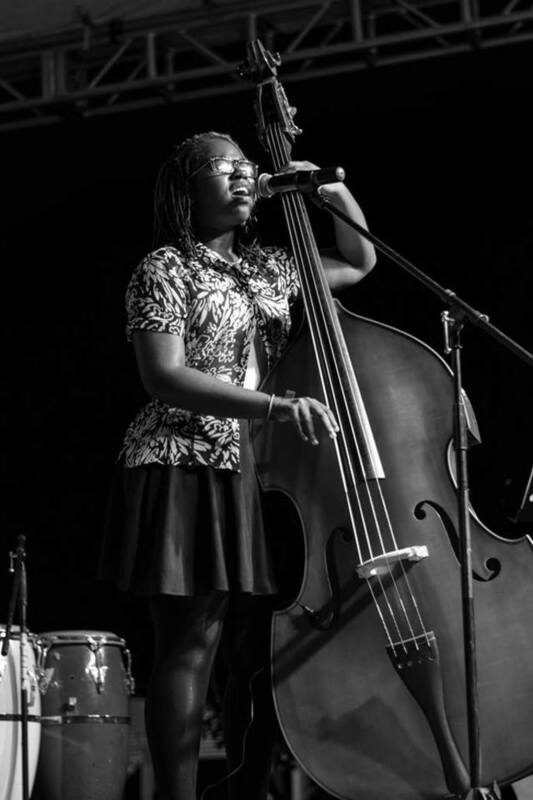 The featured performer for November 5, Jamila Falak James studied voice, violin and upright bass at the Edna Manley College of the Visual and Performing Arts and is an alternative Jazz/Pop/Reggae Fusion singer, songwriter, musician and bassist. The Edna Manley College of the Visual and Performing Arts awarded her an Honours Recital in April 2015 and 2016, for outstanding solo performance in voice. Jamila has a very eclectic taste in music, and is inspired by singers such as Ella Fitzgerald, Bob Marley, Lianna La Havas, Beyonce, Tori Kelly, Björk etcetera. She is no stranger to the stage and has provided supporting vocals for popular local Jamaican artistes such as Denyque, the late J Capri and Cherine Anderson just to name a few. As is now customary for our Sunday programmes, the doors will be open to the public from 11 am to 4 pm and Jamila Falak’s performance starts at 1:30 pm. Admission and guided tours will be free. Complimentary refreshments will be offered, courtesy of CB Foods. The gift and coffee shop will also be open for business. The National Gallery of Jamaica is pleased to present the panel discussion We Have Met Before, Revisited, which will take place at the National Gallery on Friday, October 13, 2017, starting at 1:45 pm. The discussion is presented as part of the Edna Manley College’s Rex Nettleford Arts Conference 2017, for which the National Gallery serves as a partner institution. The panel discussion will be chaired by Nicole Smythe-Johnson, Independent Curator. The panellists are: Moji Anderson, Lecturer, Sociology, Psychology and Social Work, Faculty of Social Sciences, UWI-Mona; Olayinka Jacobs-Bonnick, British Council Country Director, Jamaica; Leasho Johnson, Jamaican artist in We Have Met Before; and Herbie Miller, Director, Jamaica Music Museum, Institute of Jamaica. The panel discussion is part of the programming for We Have Met Before, which on view at the National Gallery until November 4, 2017 and which is presented in collaboration with the British Council. The exhibition explores a group of contemporary and artistic interpretations of legacies of the Trans-Atlantic Slave Trade and chattel slavery in Jamaica and the wider Caribbean. Each of the four featured artists – Graham Fagen (Scotland), Joscelyn Gardner (Barbados), Leasho Johnson (Jamaica) and Ingrid Pollard (Guyana/England) – delves into archival material, popular culture and personal perspective to develop and substantiate visual iconographies that present actual and imagined narratives about the African enslaved and their descendants. Combined, their work invites new perspectives and dialogues on what is well-established subject in Caribbean art. We Have Met Before is presented in collaboration with the British Council. The exhibition We Have Met Before: Graham Fagen, Joscelyn Gardner, Leasho Johnson and Ingrid Pollard, a collaboration between the National Gallery of Jamaica and the British Council, is accompanied by an e-catalogue publication. This publication was edited by Melanie Archer and was designed by Kriston Chen. It contains commissioned essays by Tiffany Boyle and Shani Roper, along with forewords by Olayinka Jacobs-Bonnick, Annalee Davis and Juliet Dean, and Veerle Poupeye and O’Neil Lawrence. The We Have Met Before e-catalogue can be found here. The exhibition opens tonight at 6:30 pm and continues until November 4, 2017. We Have Met Before opens at the National Gallery of Jamaica on September 22 and continues until November 4. The works selected for this exhibition represent a conversation on the histories of Slavery, the Transatlantic trade, and its present-day implications. The exhibition is staged in partnership with the British Council. 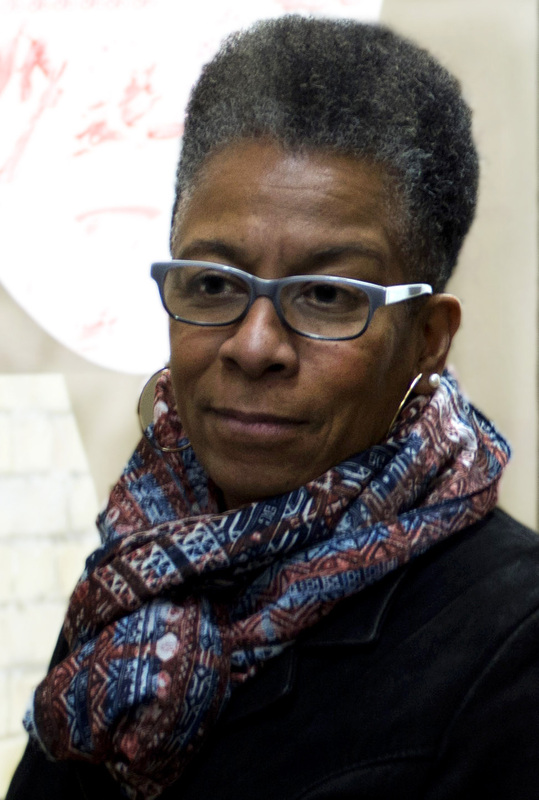 Ingrid Pollard is one of the four artists featured. Ingrid Pollard was born in 1953 in Georgetown, Guyana and is based in London. Pollard completed a BA in Film and Video at the London College of Printing in 1988. She went on to complete an MA in Photographic Studies at Derby University in 1995 and obtained a PhD from Westminster University in 2010. She lectures in Photography at Kingston University. Ingrid Pollard played an important role in early 1980s photography in Britain, documenting black people’s creativity and presence in photographic series that question social constructs such as Britishness and racial difference. Her work is included in major collections internationally and nationally in Tate Britain and the Victoria & Albert Museums in the UK. Ingrid Pollard works mainly in analogue photographic media, with emphasis on the materiality of the photographic media and processes. The Boy Who Watches Ships Go By (2002) is the oldest body of work in We Have Met Before and consists of images of land, sea, boats and historical documents that subtly evoke the histories, visible and invisible, of Sunderland Point in northern England, which was once a thriving seaport in the Triangular Trade. The resulting narrative revolves around the story of Sambo, a young boy and servant, presumably enslaved, who travelled with the captain of the Globe from Kingston, Jamaica, who fell ill and died when he arrived in England. His death, it was believed, was from a disease he allegedly contracted in England to which he had no immunity; and acts as a metaphor for the fate of those who lost their lives and freedom as a result of their contact with European slave traders. Sambo was, according to local lore, buried at Sunderland Point in 1739.